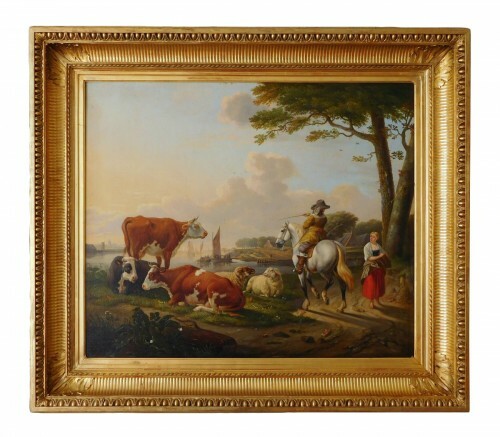 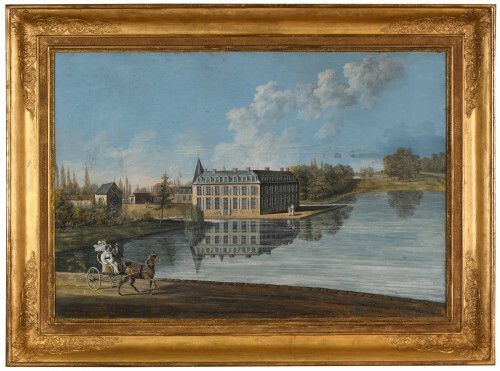 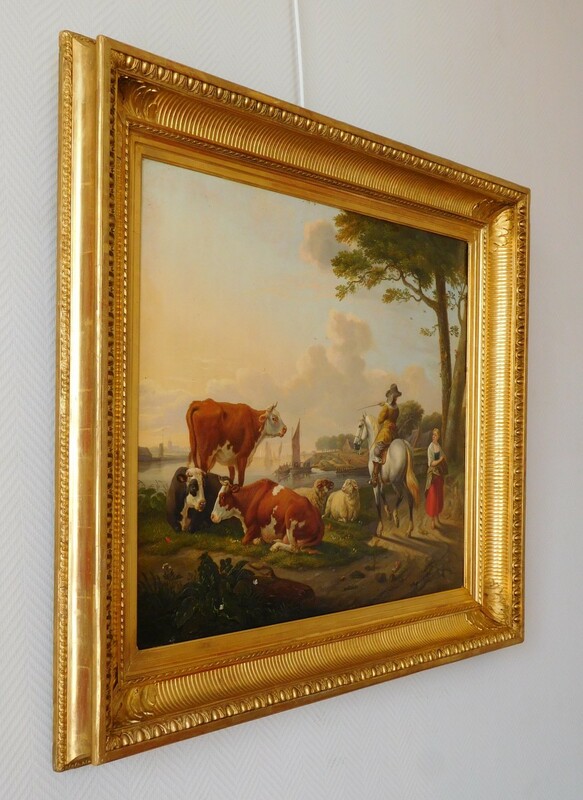 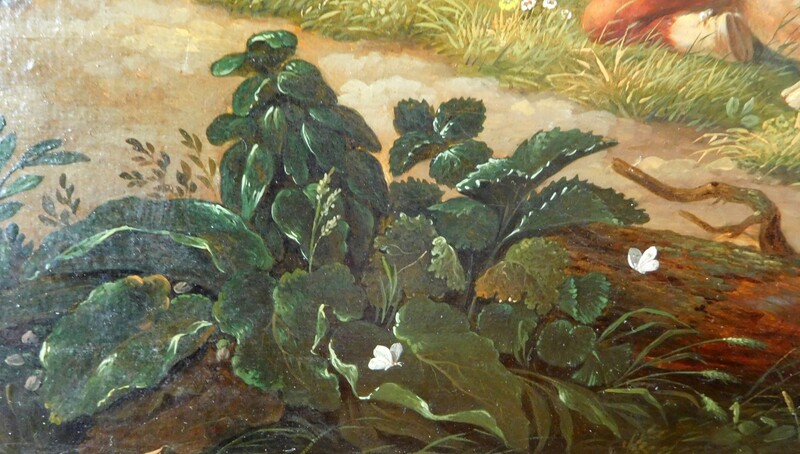 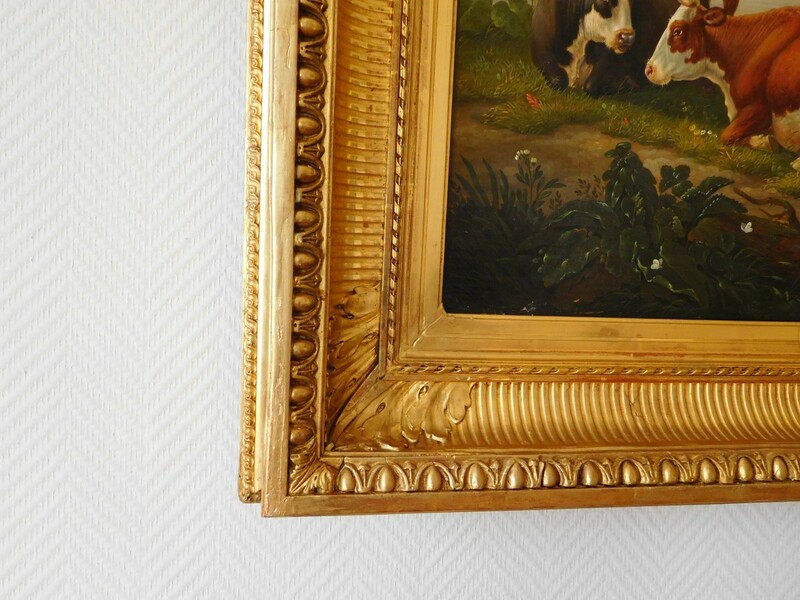 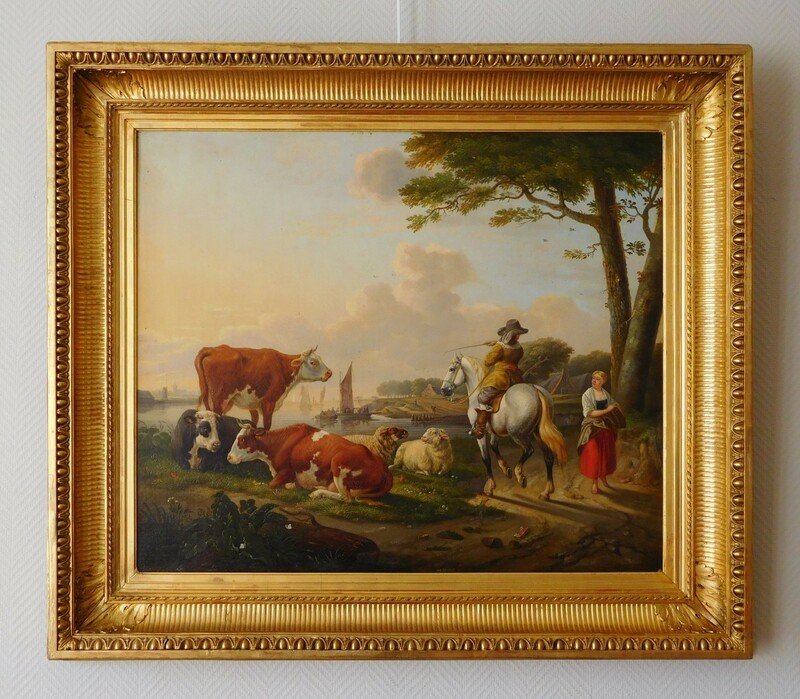 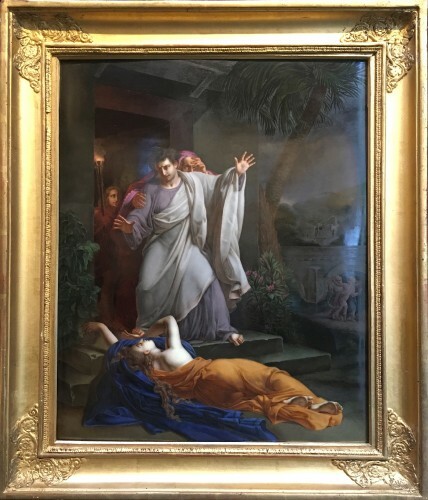 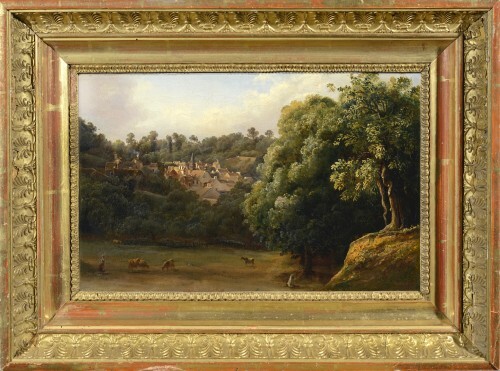 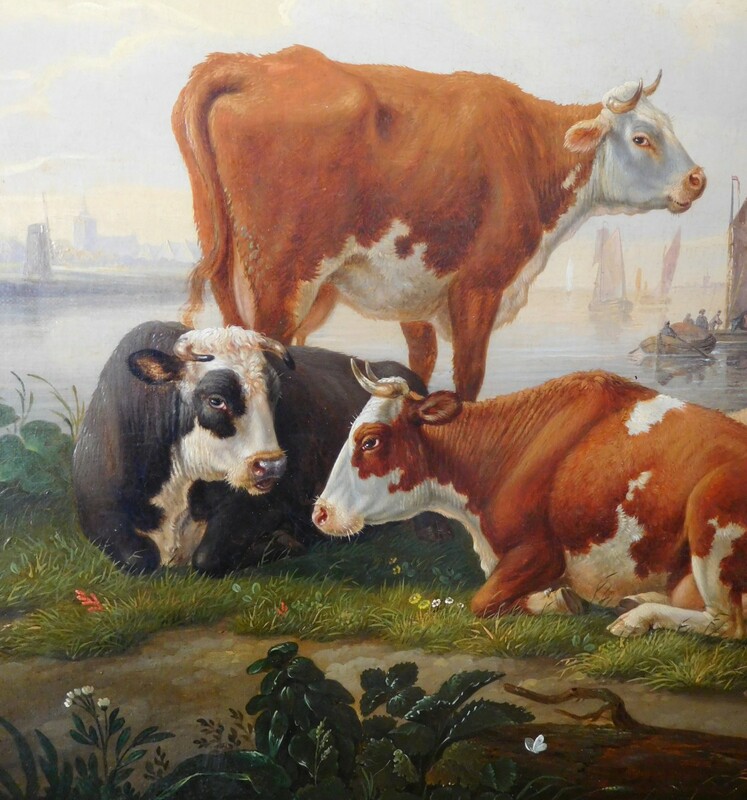 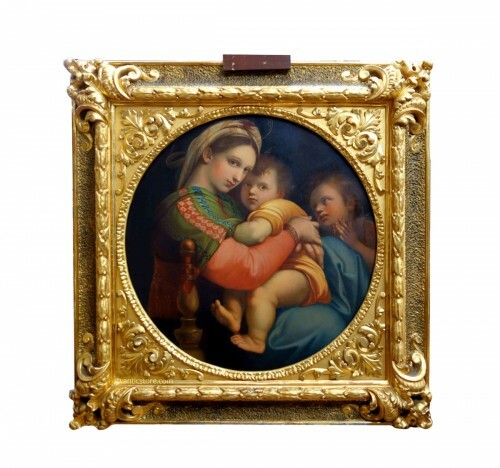 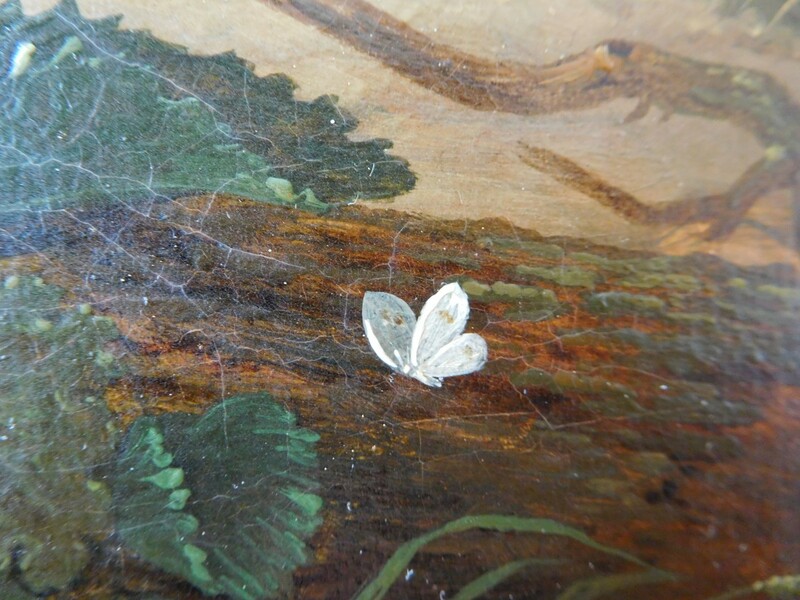 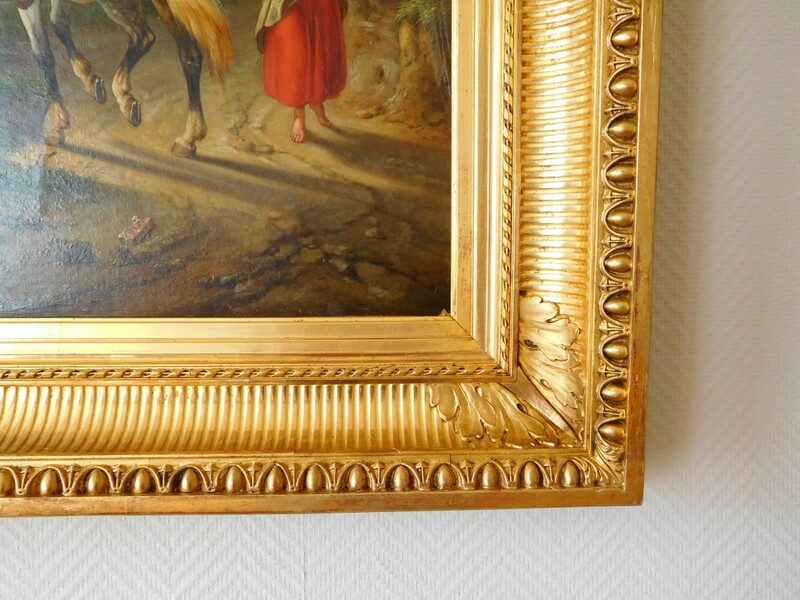 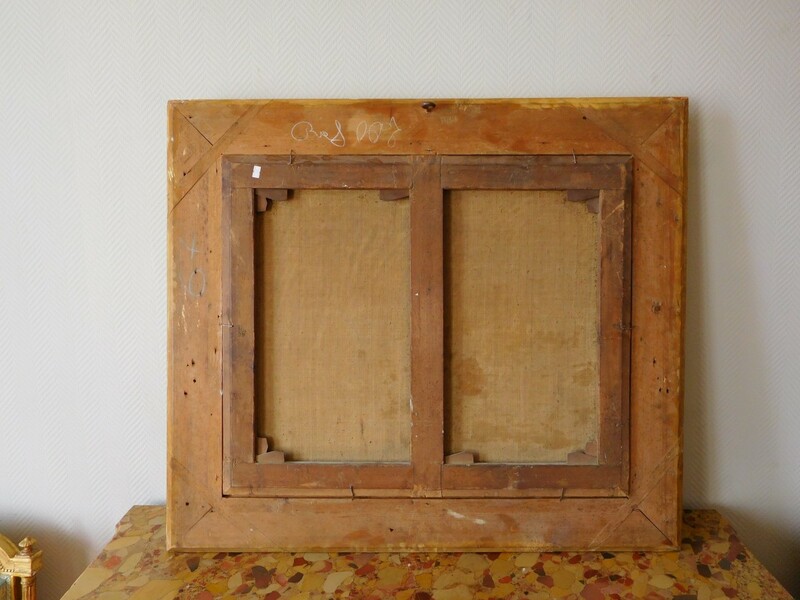 Early 19th century Dutch school / Flemish school, oil on canvas signed AB Worrel, gold leaf gilt wood frame. 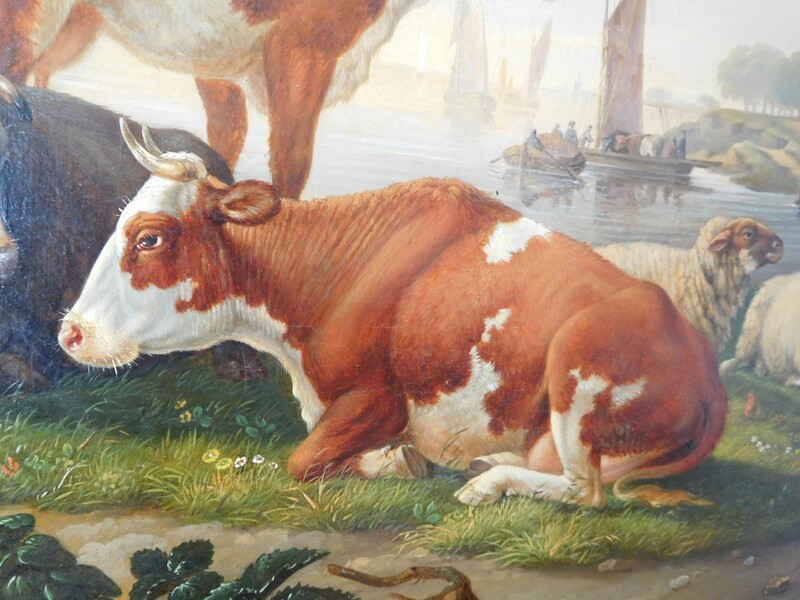 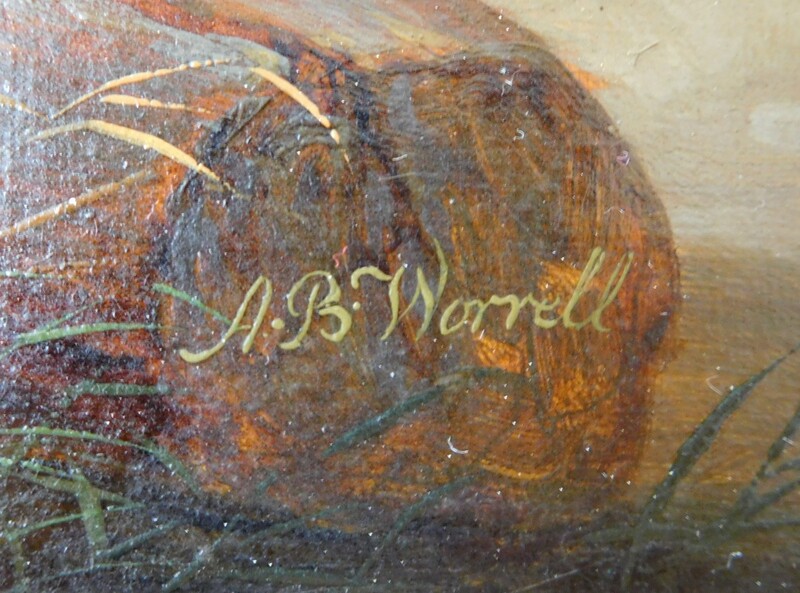 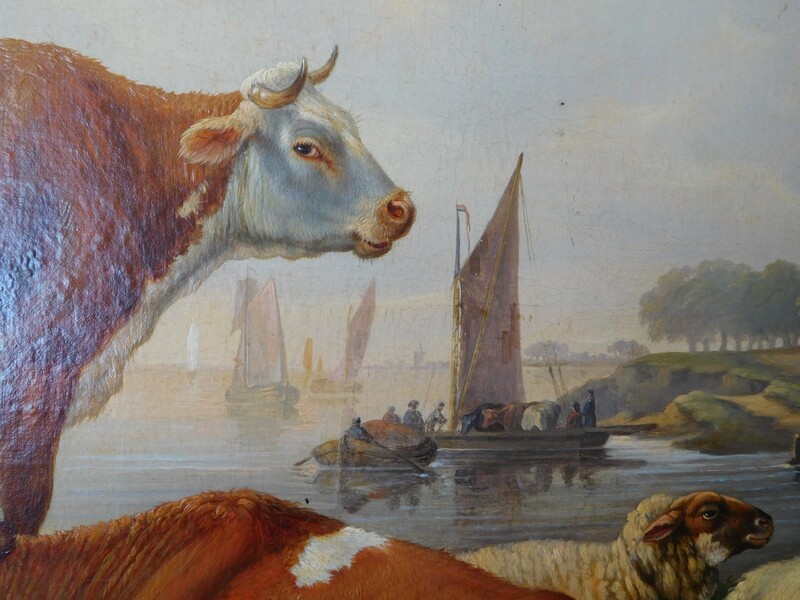 Signed Worrel : Abraham Bruiningh van Worrell active in early 19th century. 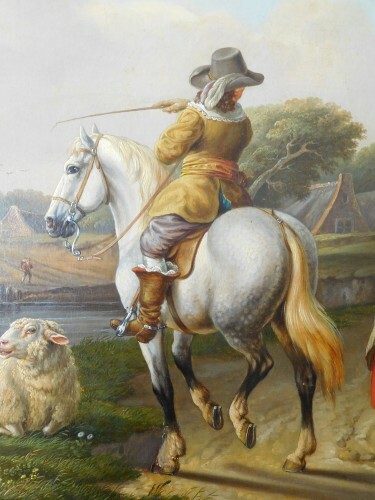 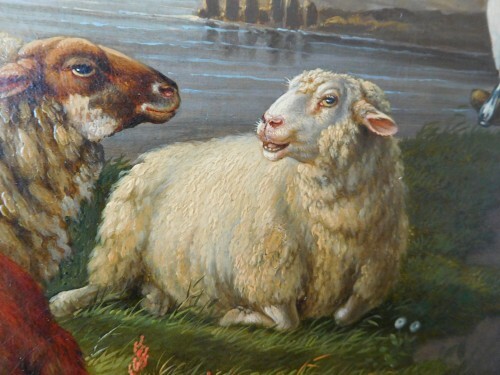 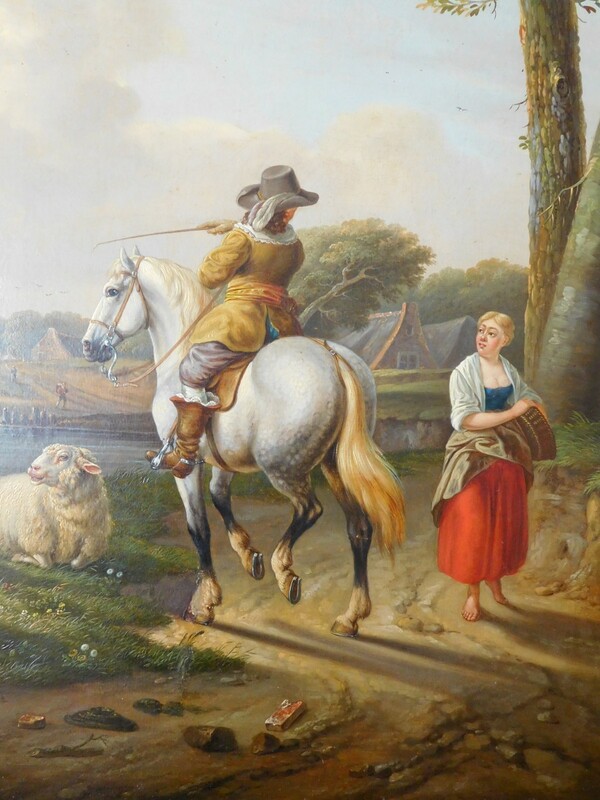 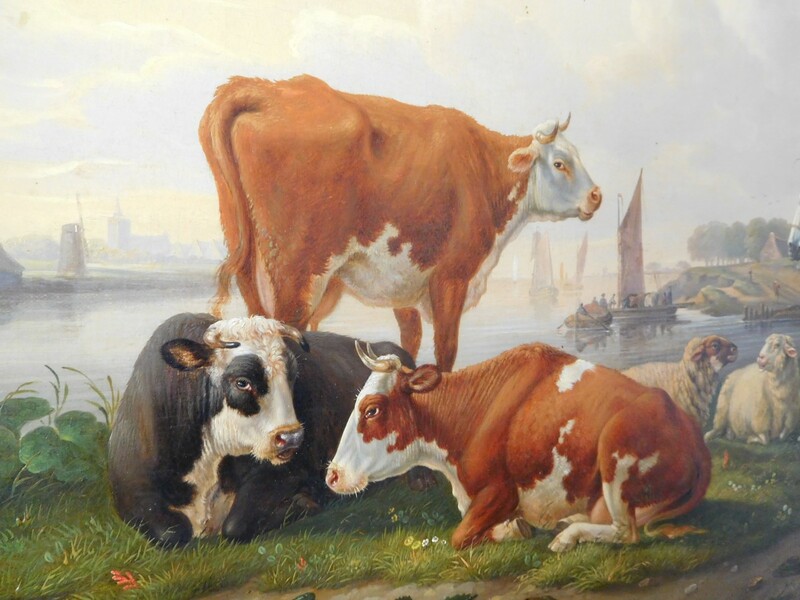 Our painting pictures some landscape in Bruges countryside, some characters - a horse rider and a farmer - and beasts - caws and sheeps, particularly well painted (Worrel used to paint them very scrupulously - see pictures). 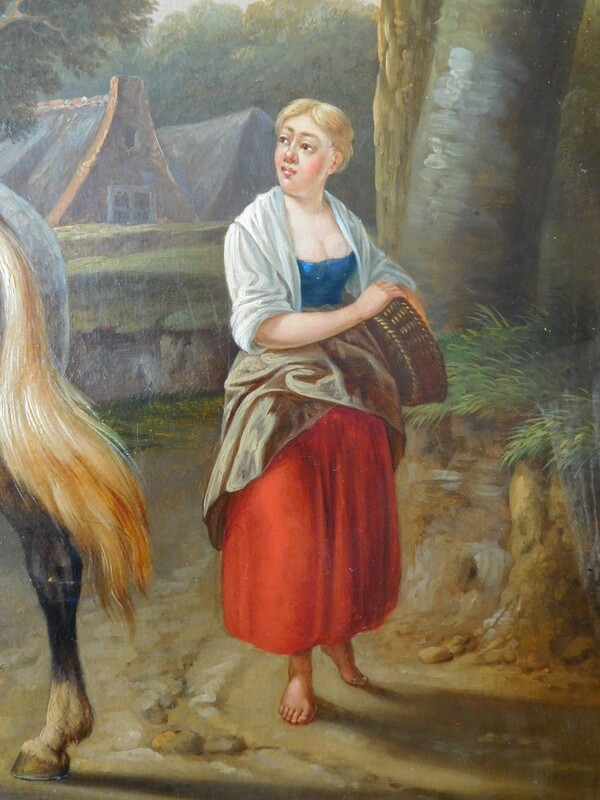 Large painting, much decorative, coloured and bright. 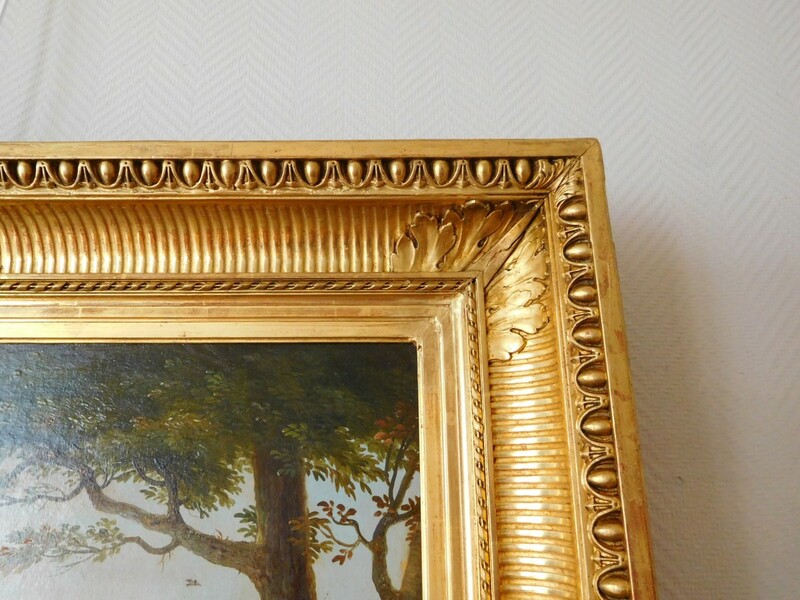 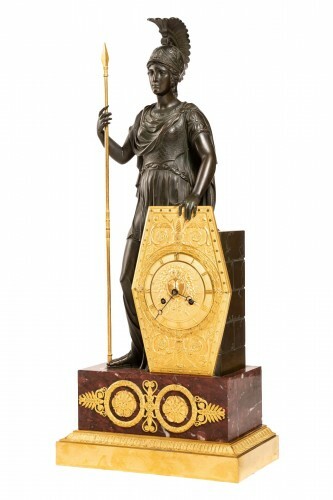 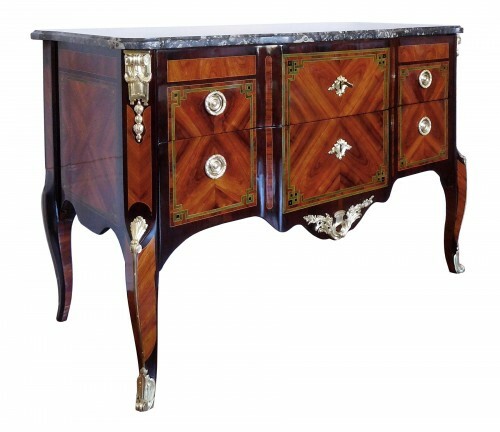 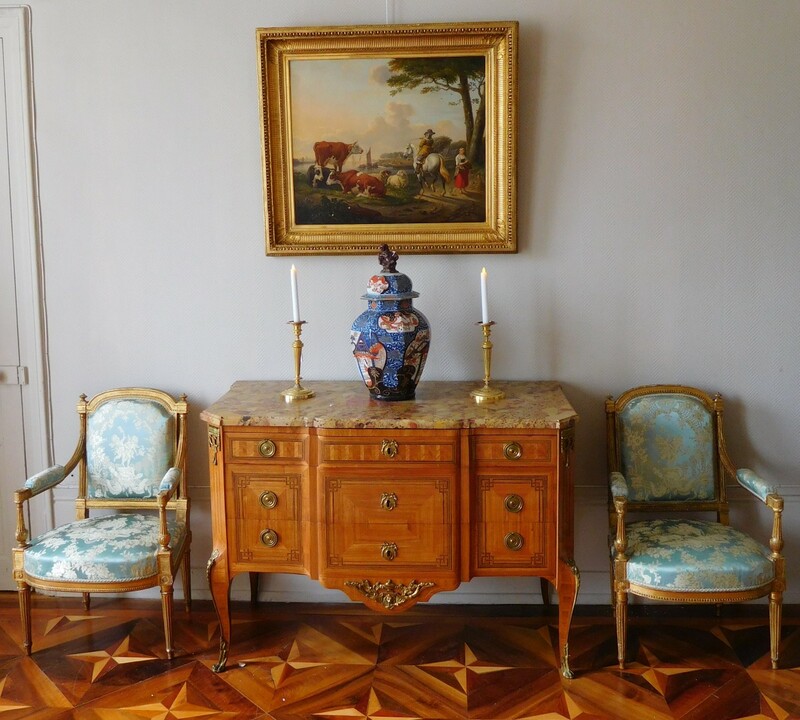 Set into a rich Louis XVI style gilt wood frame (Napoleon III frame). 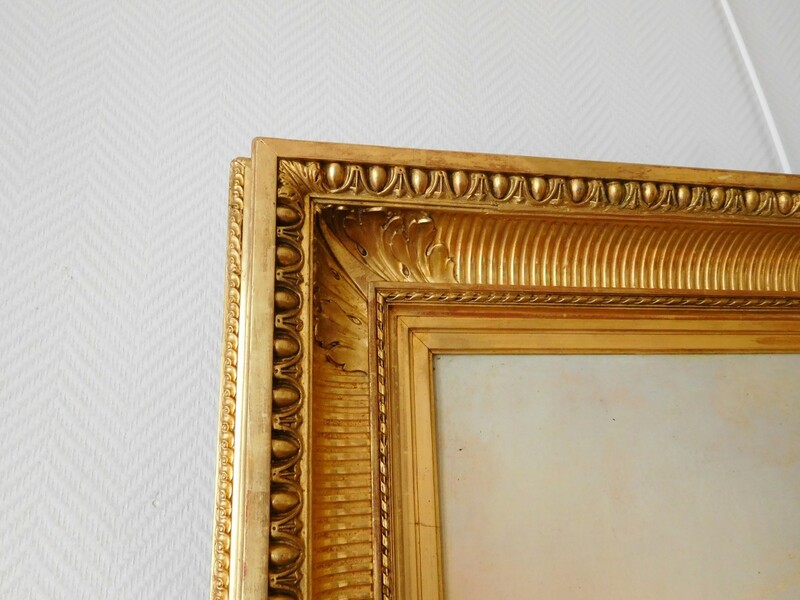 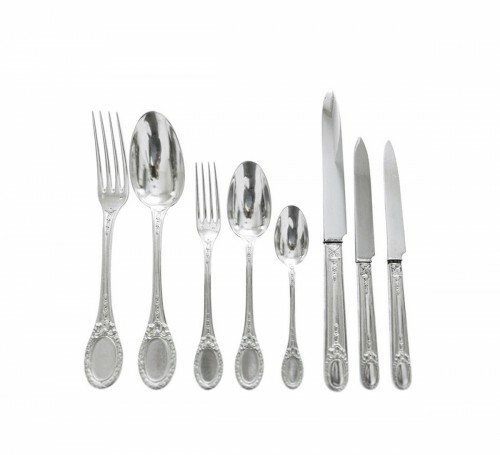 In excellent condition, cleaned, original gilt in very fresh.